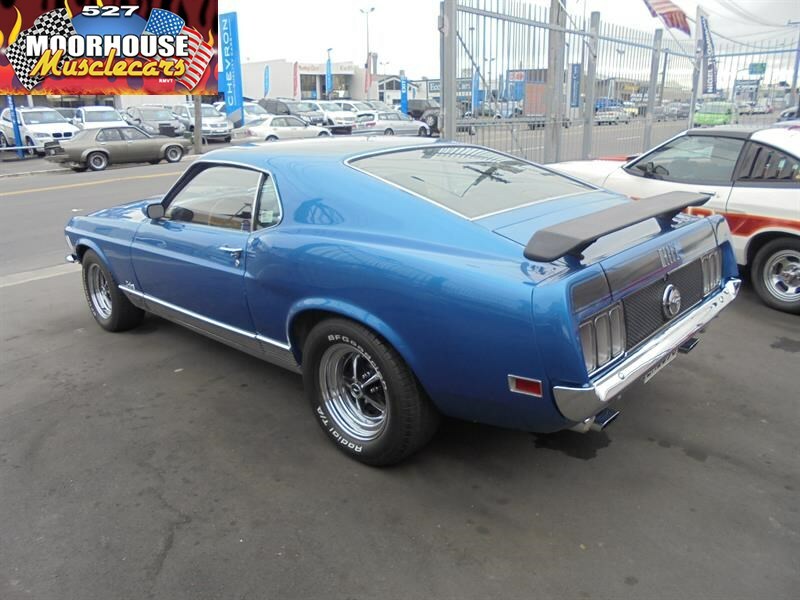 Quite often referred to as the last of the proper old school Muscle Car Mustangs, this very honest example of the legendary 1970 Mach 1 looks absolutely fantastic in Acapulco Blue metallic with contrasting factory satin black outs, and a lovely mid blue Deluxe interior. 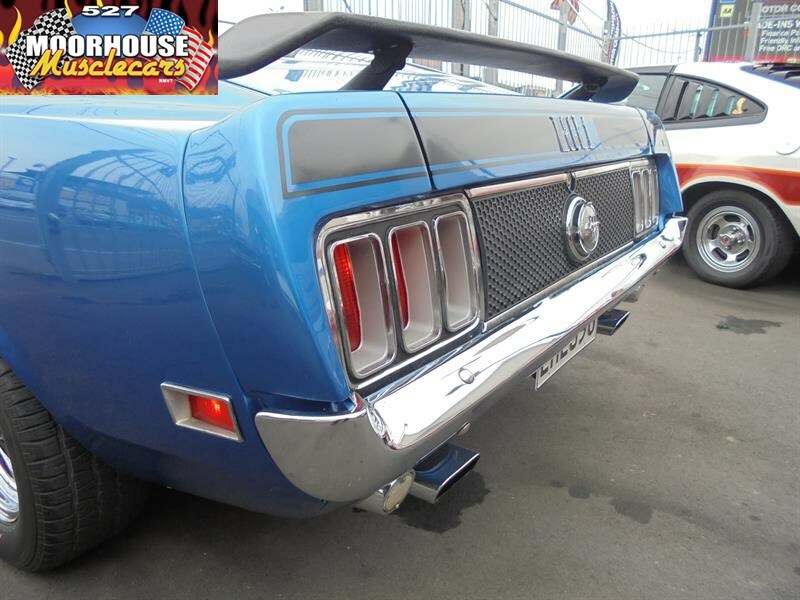 This stunning looking original Mach 1 is believed to have travelled the genuine 71,000 miles that its showing today, and certainly drives tight reflecting its low mileage unmolested existence, the honest body is straight and solid retaining all of its unique Mach 1 features, including the correct front and rear spoilers, and wide offset Magnum 500 Chrome sculptured wheels. 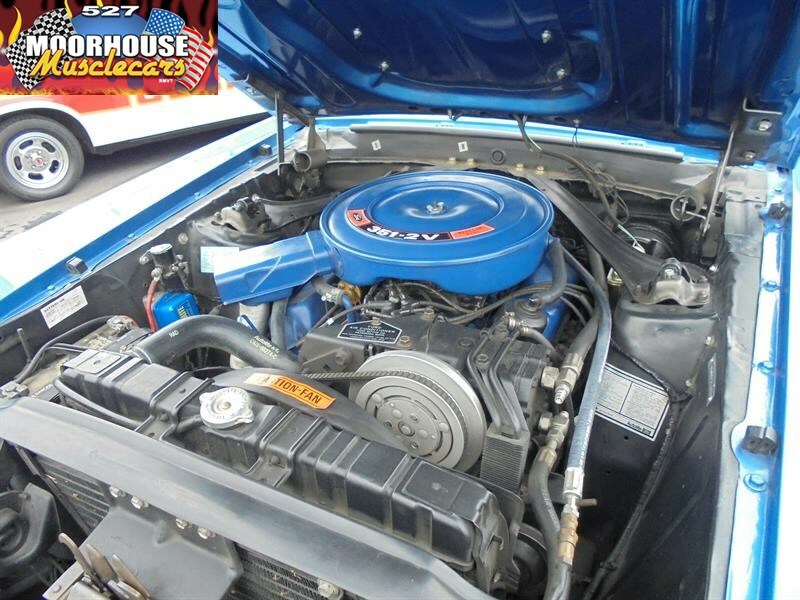 The correct 351 ci Windsor engine residing in the engine bay performs very well, and is detailed very nicely to an authentic period correct style, and being coupled to a smooth shifting three speed automatic transmission, with factory power steering and power disc brakes, along with factory A/C all makes for a really nice period correct driving experience, with a very user friendly feel. 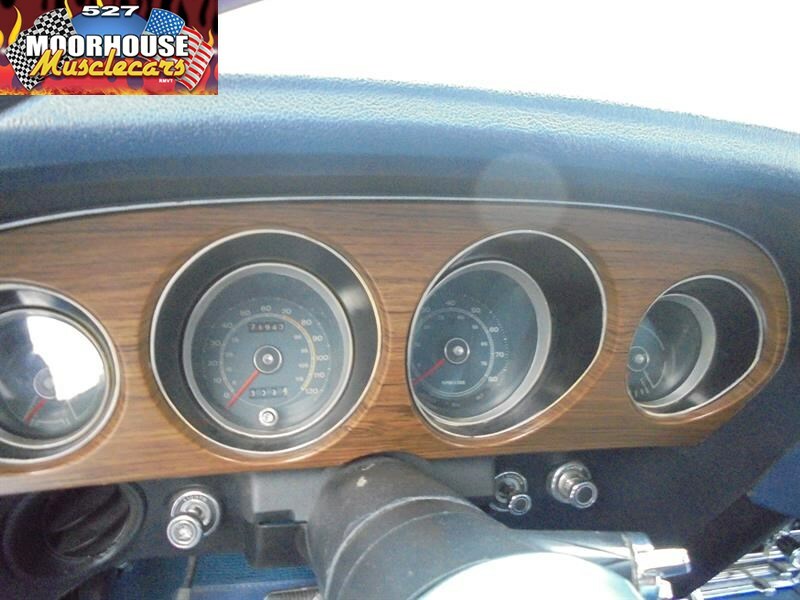 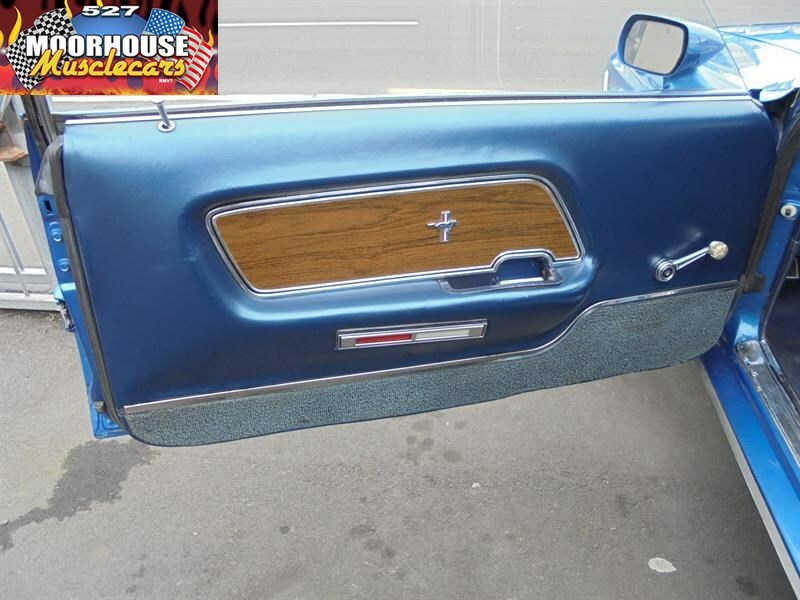 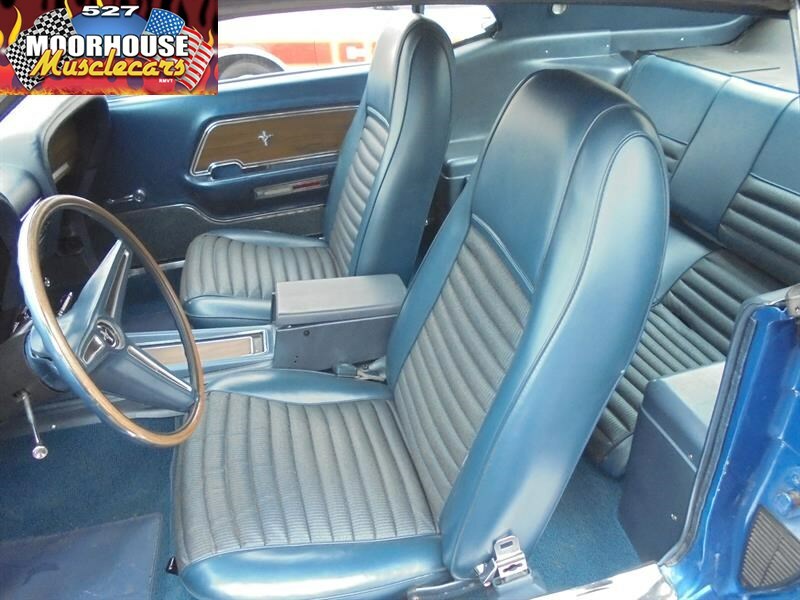 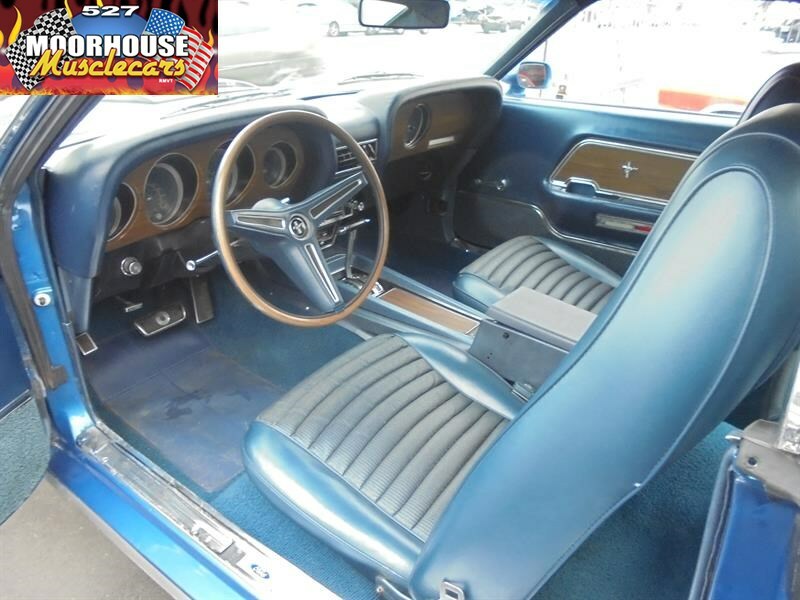 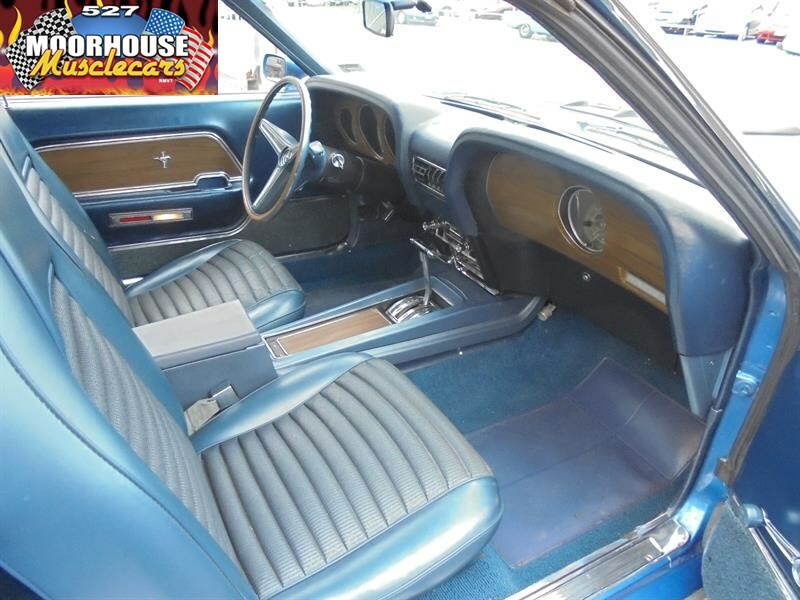 The correct Deluxe interior still sports the original rim blow steering wheel, centre console, and the wood grain accent sports dash layout is complete with the rare optional in dash rev counter. 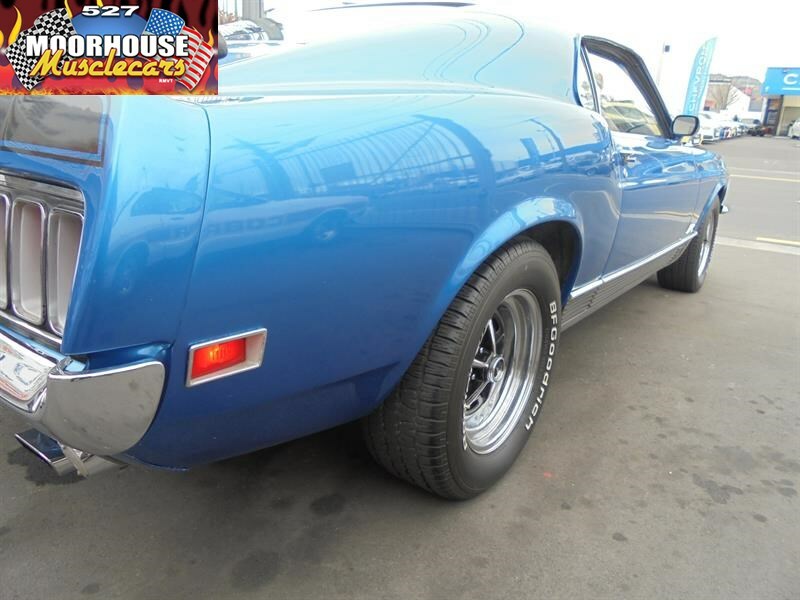 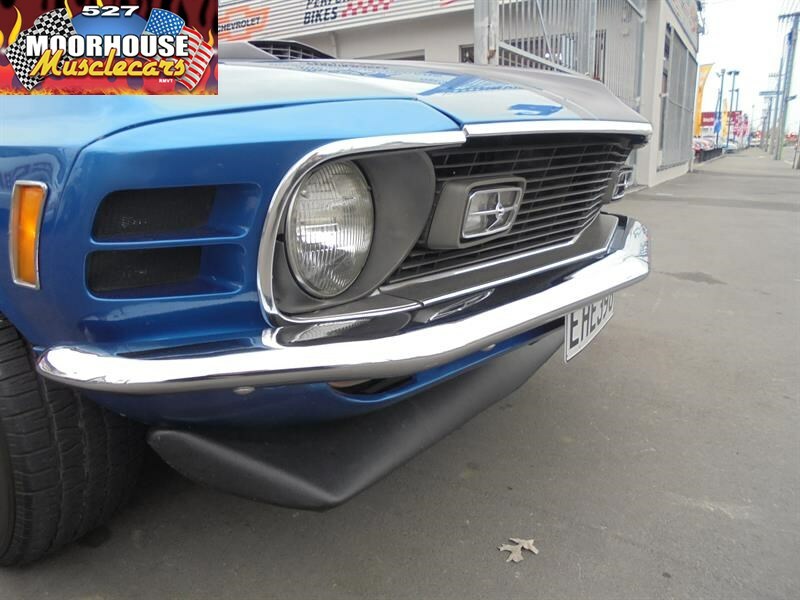 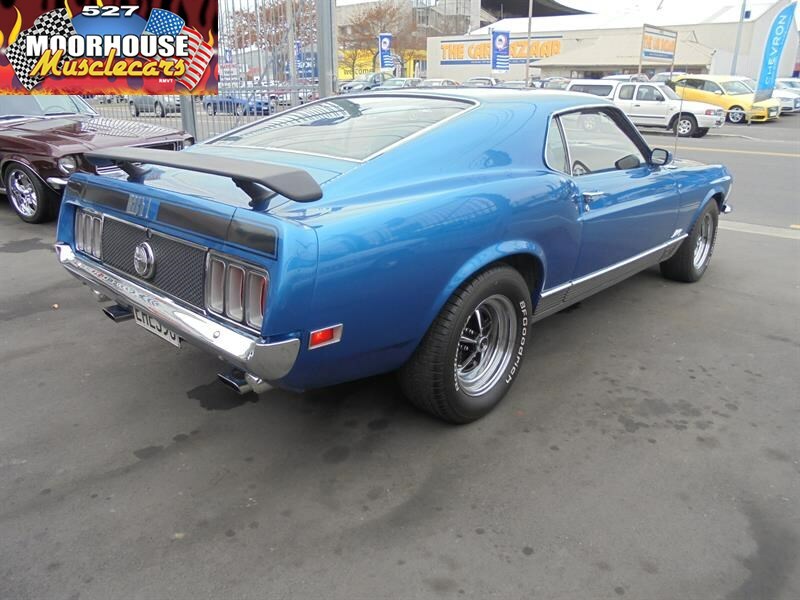 This Mach 1 has really nice chrome and trim, and presents very well over all, with a nice authentic appearance and that unmistakable Mach 1 aggressive style and stance! 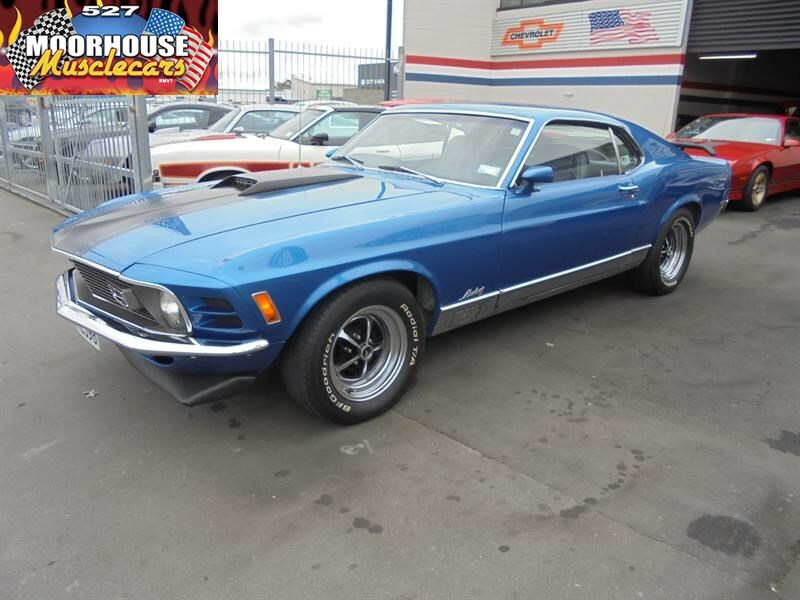 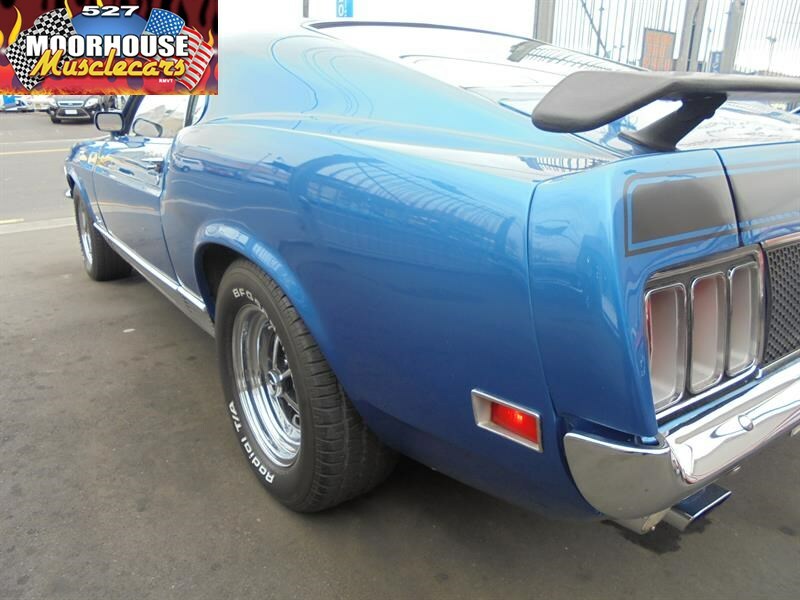 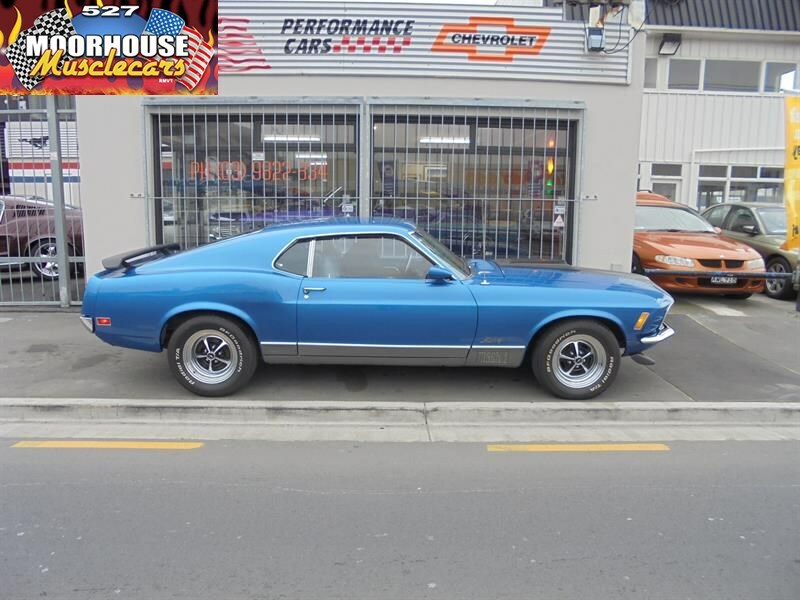 This is a rare opportunity to own a good clean unmolested Mach 1 that is still correct to its original form, and still performs just the way it should! 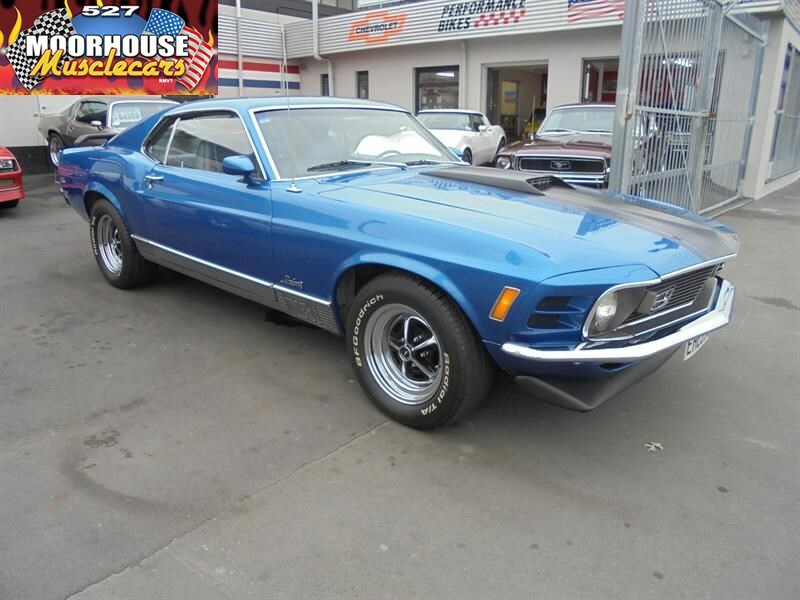 Always a strong solid investment, and always will be, these early Mach 1s are becoming increasingly more difficult to find, and this one's really got the right look! 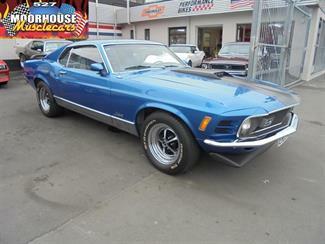 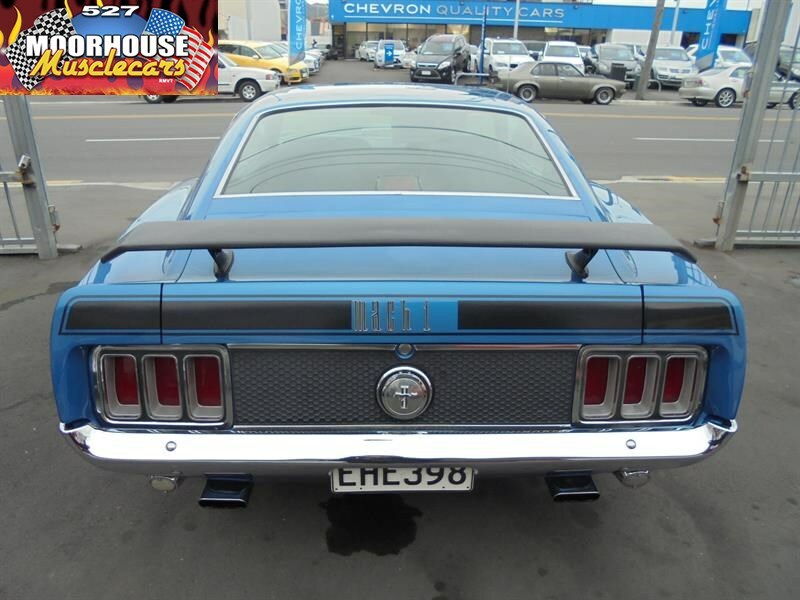 Call today for further details on this desirable and collectable Mach 1. 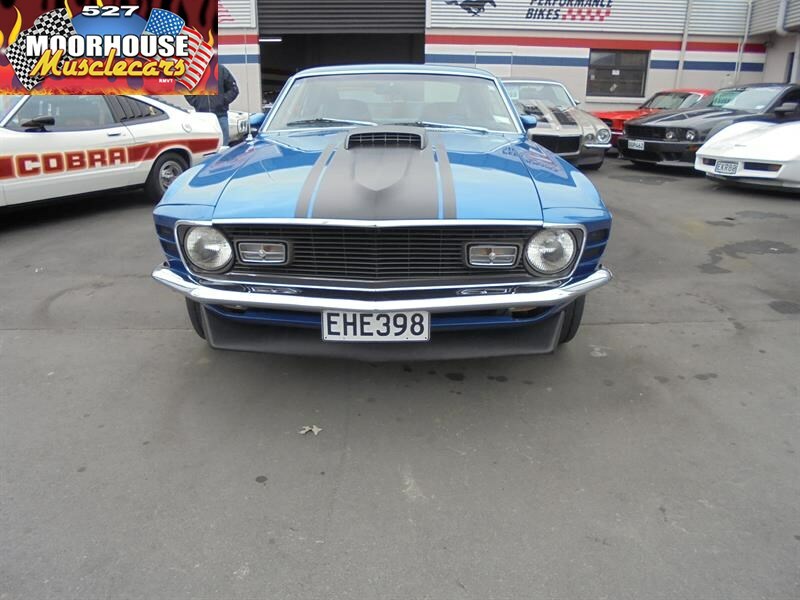 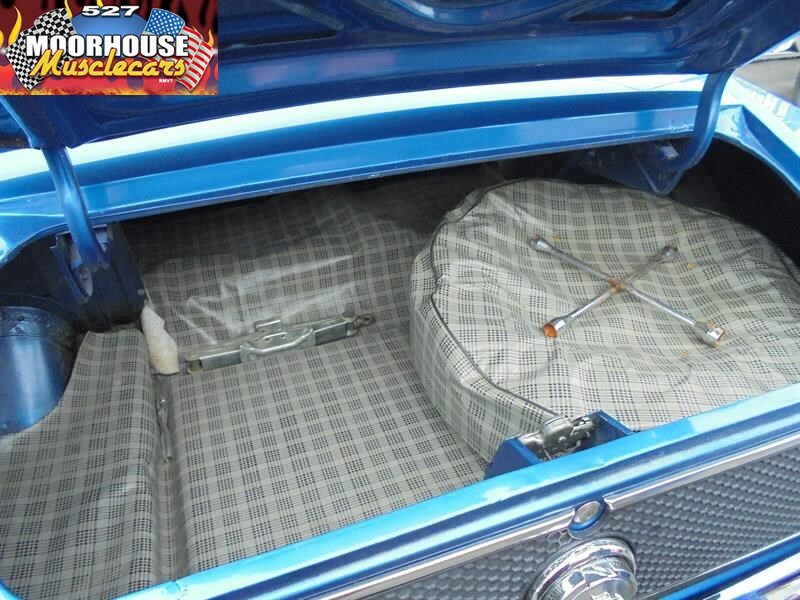 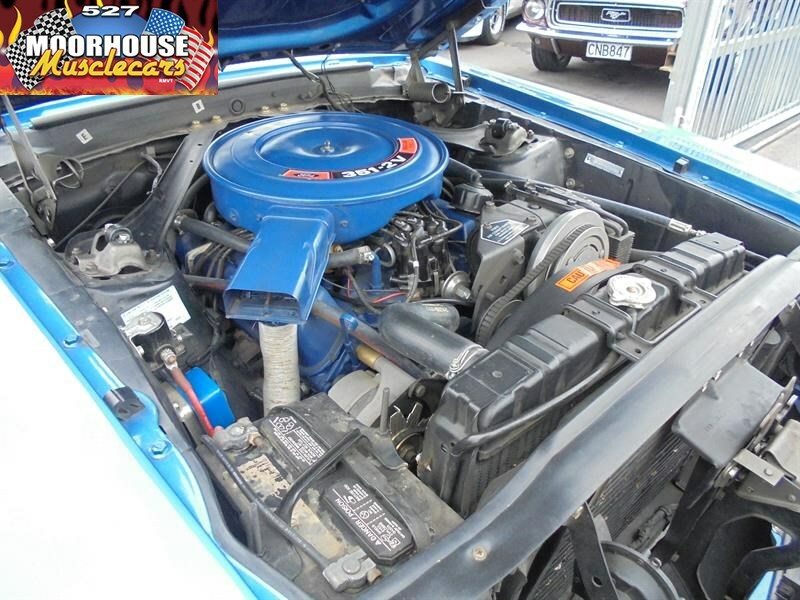 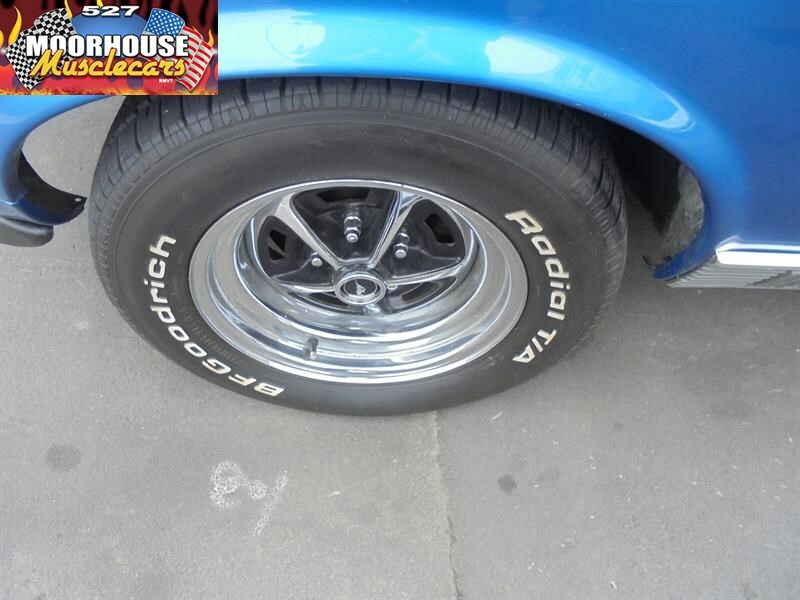 Inspection will impress a genuine buyer for this genuine Muscle car.